Nimes will be looking to return to winning ways in the Ligue 1 when they host Angers at their Stade des Costieres on Wednesday evening. The Crocodiles suffered three defeats in previous four league fixtures and, as a result, they have been slipping down the standings week by week. 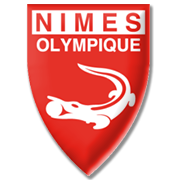 Nimes aim to get back on course as soon as possible and seeing that they are only 9 points clear of the relegation zone ahead of Wednesday’s postponed fixture, we are positive that the hosts are going to leave their hearts on the field. Les Scoistes defeated Nantes at the weekend, which surely gave them a confidence boost, but they remained in the danger zone in the Ligue 1 table. The visitors are desperate to grab something from the Stade des Costieres clash and, taking everything into account, both teams should be happy with one point. 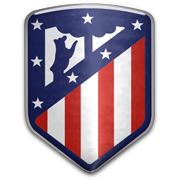 Born in Avignon, France on November 28, 1994, Anthony Brianco is a defender who is a product of Nimes youth academy. His main position is centre-back, but the French footballer is used as a defensive midfielder as well. Briancon made his senior debut for Nimes in Ligue 2 on May 16, 2014 against Creteil, coming as a substitute for Pierre Bouby in the 54th minute of the match. The two teams shared the spoils (1-1) and it is important to note that Anthony Briancon has been playing for les crocodiles ever since. The French defender has a contract with Nimes which should expire on June 30, 2021. Briancon scored his first ever goal for les crocodiles in January 2016 in a thrilling 6-2 victory over Clermont. The 185-cm-tall defender played an important role in Nimes in the 2017/2018 season, scoring 3 goals in 37 appearances for the club in the process and, no doubt, he helped Bernard Blaquart’s team secure promotion to the French top flight. 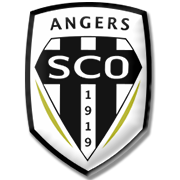 French Football Federation was founded in 1919, with French football club Angers being founded the same year. Les Scoistes returned to the French top flight at the end of the 2014/2015 season and they finished the 2015/2016 Ligue 1 campaign in ninth place in the standings. Angers were having their ups and downs in the 2016/2017 season and, as a result, they finished 12th. Les Scoistes are well known for their black jerseys with white stripes, whilst the color of their away kits is white. Stade Raymond Kopa is the team’s home ground and the capacity of the stadium is 17.835. The venues was opened back in 1912 and the stadium’s record attendance is 22.989 (April 26, 1969 vs. Olympique Marseille). Speaking of the club’s most notable players, we have to mention Fahid Ben Khalfallah, Vladica Kovacevic, Claudiu Keseru, Paul Alo’o, Amar Rouai and Cedric Daury. It has to be noted that the 2017/2018 season will be their 24th in the French top flight.